The Mountaineers has a rich history of exploration, education, and conservation. We believe getting outside transforms all of us in some way - spending time in nature can give each one of us our own breakthrough moment. We volunteer to provide these transformative experiences to our Pacific Northwest community. That's what it means to be a Mountaineer. We are pioneers and adventurers. Explorers of the unexplored. We are groundbreakers. Founded in 1906 by 151 visionaries at a time when a trip into our uncharted Pacific Northwest mountain ranges meant riding on a luggage car, then picking an unnamed peak and finding our way to the top with only a compass and a keen eye. Half of the first Mountaineers were women. They were veiled and wore long petticoats, but summited mountains all the same. Mountaineers wore the first boots on the top of the Olympics and the first skis on Mount Rainier. We named peaks and explored waterways and built trails to uncover unique and challenging landscapes. We helped create the North Cascades Wilderness Area and pass the National Wilderness Act. Early Mountaineers established safe travel methods in the mountains. The same methods our volunteers still teach today. We wrote the book on Mountaineering. Literally. 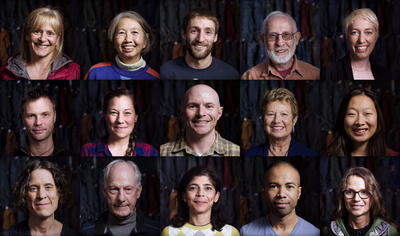 Our members founded REI, seeking better gear to take them further. Jim Whittaker, the first American on the summit of Mt. Everest, and Fred Beckey, the first 'dirt bag' climber, are both Mountaineers. Your grandparents were Mountaineers. Your kids will be too. Mountaineers are generations of adventurers. Young and old, new and seasoned, eager learners and passionate teachers – the outdoors brings us together. The Pacific Northwest is our home. We aspire to inspire with hundreds of monthly activities led by our coalition of volunteers. We hike and ski and climb and paddle. We sail and snowshoe and scramble. We capture and savor. We conserve. We go outside to inspire curiosity and self-discovery. To feel small. To unlock our true potential and release the burdens of every day. We lose ourselves in the outdoors. We find ourselves there too. We are the Pacific Northwest. Written and Produced by Kristina Ciari. So inspiring to see such a history of outdoor adventurers and so many familiar faces!